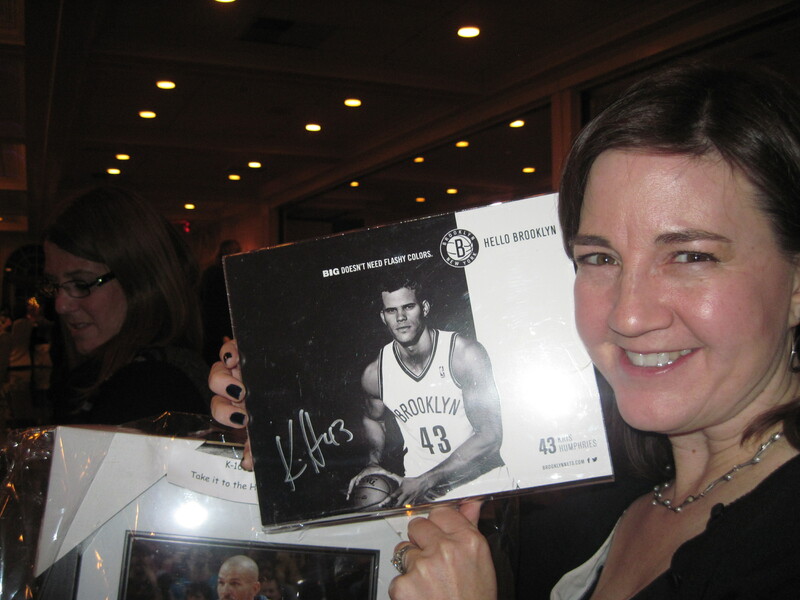 I have Kris Humphries’ signature. But it’s not on a divorce decree. 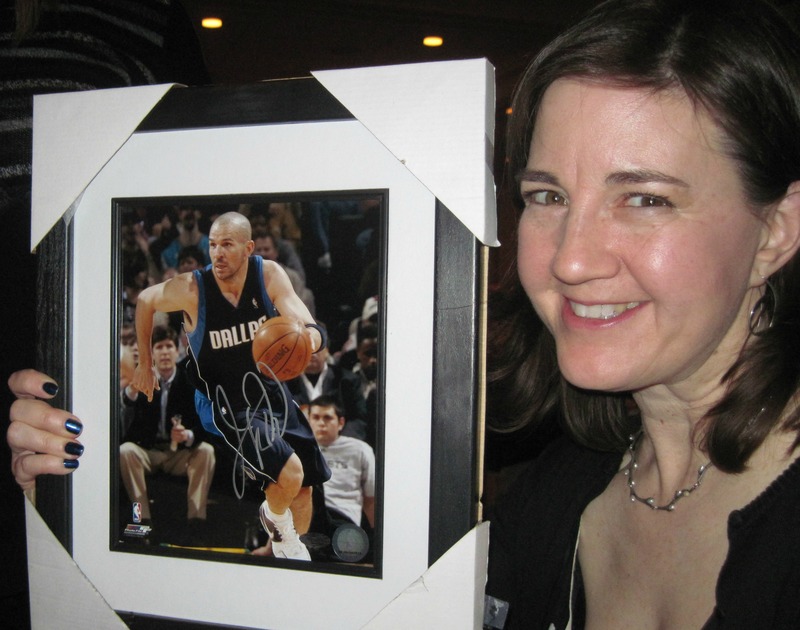 Yes, I won this picture (along with the one below) at our school fundraiser. 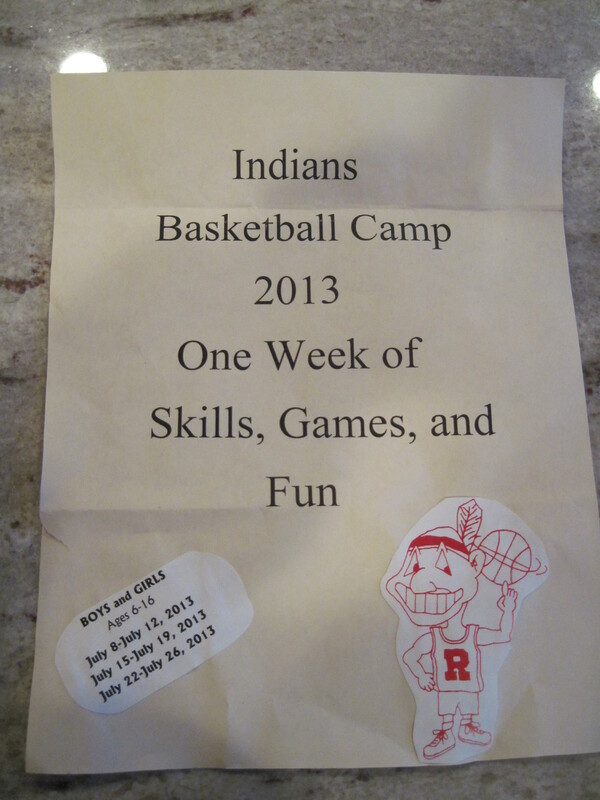 One week of basketball camp – apparently full of street-wise kids from a neighboring town. My son is going to become a man in one week this summer. And maybe he’ll learn to shoot and go for the ball. Or maybe he’ll just enjoy the free t-shirt. This is the other prize I wanted. Yes, that’s an $800 hoarder’s delight basket right there. My plan: open everything and slather them all over my face every night for a month. And then my skin will look like a newborn’s. 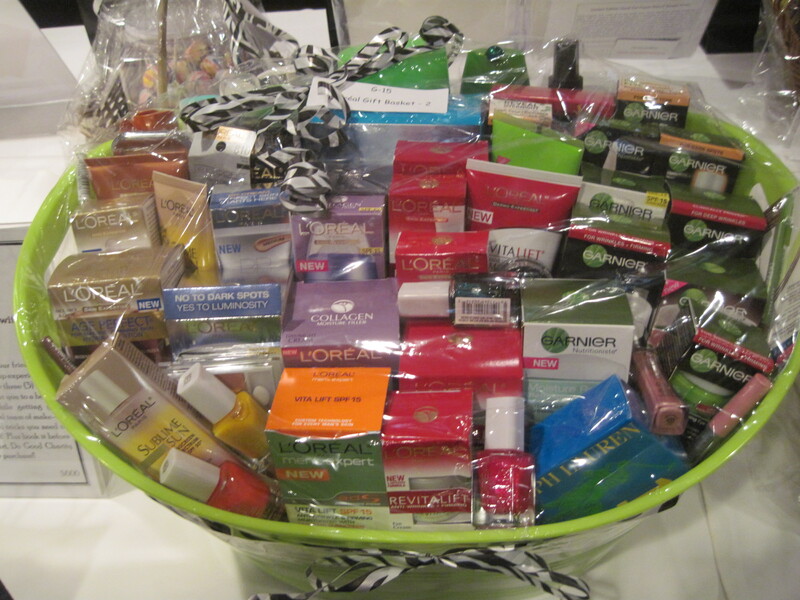 Or maybe the still-wrapped basket would just take up space in my closet with all the other unused lotions. There was an awesome Kiehl’s basket too. Someone has an in with L’Oreal, and it’s not me (side note: I’m testing their mascara this week. That’s the mascara on my lashes in the pictures above. Dori’s reaction: “you don’t look any different.” Looking forward to my payment – a bag of more stuff I won’t use). Alas, I didn’t win. Next year I think I’ll donate one (or more!) of the three vibrators I got at BlogHer, along with some companion goodies, if they don’t sell on eBay first. I think it would be scandalous to have a Woman’s Pleasure gift bag and then listen for the whoops when the winner’s ticket is pulled. And see how she reacts running up to claim her prize. If you’re wondering, I had a great time at the fundraiser, a dinner/trick-tray extravaganza and fashion show where the teachers modeled clothes from our local Lord & Taylor. They all looked so young and cute. And the teachers looked good too. I sat with my friends at the Laugheteria table (no, I didn’t name it. Mark’s idea for the table name was “We Be Loyal Scout Moms,” and that was rejected, as are all the Kaplan suggestions for naming things at school). The Laugheteria ladies were quite lucky. Eight of the nine women won at least one prize, most won multiple prizes (not me). The consolation prize of one free pizza floated around the table – landing with a woman who won nothing – until the last minute when she won the $2,000 grand prize basket. She offered the pizza certificate to someone else. That was some serious whooping come from the Laugheteria Ladies.